For most ladies, a manicure is a 20-40 minute process, snuck in either on a lunch break, or between going to the gym and cooking dinner. 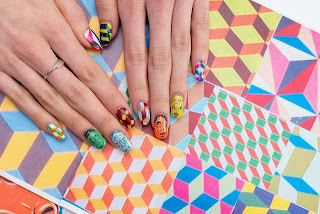 Now, thanks to a new nail art trend, some women are budgeting up to five hours and $200 to have famous masterpieces translated onto ten little fingernails. Yet another trend we might be able to afford once we win the lottery.